Archibald and Sarah Waddell Hutton are pleased to announce the marriage of their son Francis Osborne Hutton to Mary Donaldson, son of William and Catherine Scott Donaldson. Francis and Mary were married 7 January 1862 in Frontenac Township, Ontario. 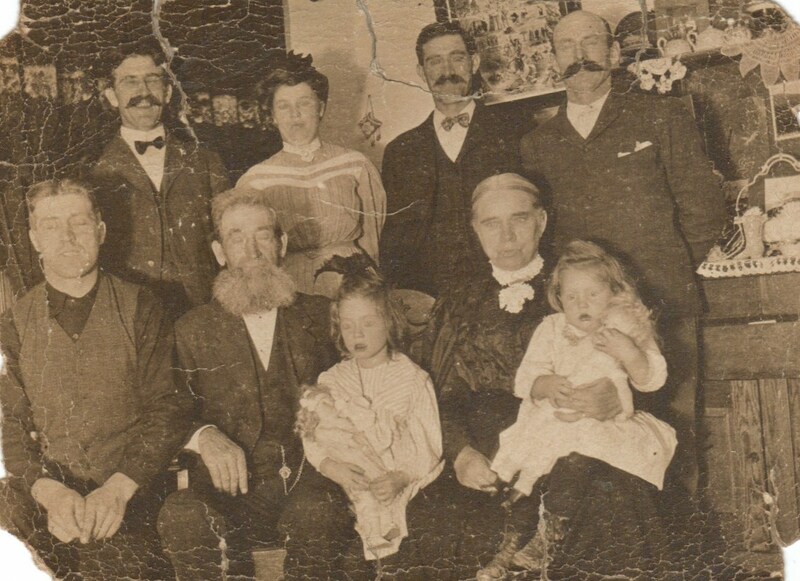 I have previously written of Mary’s brother, Joseph Russell Donaldson, who is my third great grandfather. My cousin, Mark, stumbled upon these pictures so I thought I would make them available. Francis and Mary had eight children which I will list what I know below. William Osborne Hutton born 29 March 1863 in Pittsburgh, Frontenac, Ontario and died 27 June 1930 in Lethbridge, Alberta. 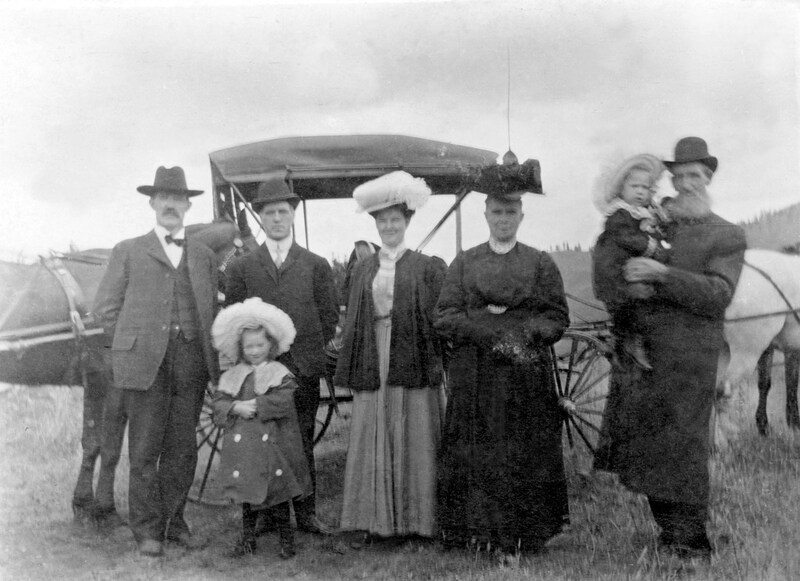 He married Mary Christine Gillis (1870-1958) 1 June 1893 in Fort MacLeod, Alberta. Nancy Etta Hutton born 6 February 1866 in Pittsburgh and died 27 April 1956 in Lethbridge. She married David James Whitney (1861-1936) 23 May 1886 in Pittsburgh. She remarried after David’s death to Newton Parsons in 1940. Archibald Hutton born 14 February 1868 in Pittsburgh and died 24 May 1946. He married Emma Flora Todd (1878-1953) 9 June 1897 in Joyceville, Frontenac, Ontario. Francis Henry Hutton born 27 March 1870 in Pittsburgh and died 14 March 1937 in Lethbridge. He married Lillian May Sinclair (1887-1977). James Alexander Hutton born 30 May 1972 in Pittsburgh and died 5 May 1938. He married Mary Loney (1881-1963) in 1902. John Albert Hutton born 14 November 1876 in Pittsburgh and died 25 December 1967 in Grand Forks, Yale, British Columbia. He married Sarah Mary McLean 15 September 1909 in Whitmount, Frontenac, Ontario. Ernest Stafford Hutton born 4 March 1879 in Pittsburgh and died 29 July 1916 in Calgary, Alberta. He married Mabel Rosemont Keeler. Mary Elizabeth Hutton born 2 February 1883 in Pittsburgh and died 18 May 1968. She married Francis Orton McLean (1884-1956) 30 January 1907.